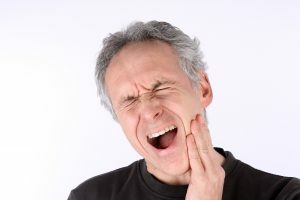 North Hollywood Dentist Urges Patients Not To Ignore Toothaches! Several factors could lead to pain in your teeth. For example, a really cold day could lead to sensitivity in your smile. Changes in air pressure, such as visiting higher elevations or riding in a plane, could cause discomfort. Finally, even sinus issues or allergies could cause sensitivity and aches. However, these aches will be short lived and pass after a few hours. Aches that last over 48 hours often indicate the presence of a cavity. Tooth decay occurs when injury or poor oral hygiene compromises the outer layers of tooth enamel, allowing bacteria to reach the inner structure. A cavity then forms, eventually causing discomfort as the decay grows and spreads throughout the tooth. What happens if you don’t treat one? Well, eventually the bacteria will reach the tooth’s nerve center. Known as the pulp, this bundle of living tissue keeps the tooth alive and healthy. However, an infection could cause an increase in discomfort and require a root canal to correct. Eventually, the issue could cause the tooth to die and require extraction to prevent the spread of infection to surrounding teeth and infection. In order to avoid complications, see us right away. We will remove the decay and place a natural looking filling made from a metal-free material. The filling stops the spread of decay and safeguards your tooth. For more serious cases, we may opt for a crown instead. In addition to cavities, bruxism could cause toothaches too. Bruxism refers to persistent teeth grinding and jaw clenching, typically occurring at night as we sleep. The constant pressure on the teeth could lead to worn down enamel, increasing the risk of cavities, infection, and tooth pain. Sufferers may experience jaw pain, headaches, toothaches, and more. Again, see us right away to discuss solutions, which may involve wearing a custom-made oral appliance at night. If you have any questions about identifying and treating tooth pain, then please give our office a call. Does Your Tooth Continue to Ache? If you have persistent pain in your tooth, then please see our team as soon as possible. For more information on our preventive dental care options, schedule a consultation by calling Modern Smile in North Hollywood, CA, today at 818-763-9353. We also proudly serve patients who live in Burbank, Toluca Lake, and all surrounding communities.